Opening times Tue–Sun noon–9.30pm. Closed Mon. Food served Tue–Fri 11am–9pm; Sat–Sun noon–9pm. Closed Mon. City centre gem for quality grab and go or sit-in sushi. Where there was once only the stark choice between rock-hard supermarket boxes or booking a restaurant for hand-made rolls, nowadays it’s perfectly possible to find freshly rolled sushi to grab-and-go. 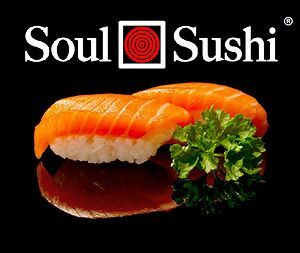 This independent outlet, now into its second year, is a cut above the competition, producing some of the best takeaway in the city with none of the kitsch or cutesy branding displayed by some of the chain venues; there are no gimmicks, just quality-focused sushi with attention to freshness and sourcing. You can order everything to be made fresh for sitting-in or takeaway, while those in a hurry can choose from the counter selection of classic rolls and popular combo boxes, like the maritime king prawn tempura and california roll or beautifully sliced mixed sashimi with ponzu. A selection of hot dishes like miso soup, katsu curry and gyoza round out the menu; look out for the unusual breaded butternut squash roll with sweet chilli and the distinctive coriander tuna sashimi.